In Dr. Goldberg’s response to my “Guess the CME Sponsor” parlor game, he is defending the accuracy and balance of his article. However, I never questioned the accuracy of the Current Psychiatry supplement. The supplement is both accurate and is a veiled advertisement for the use of Seroquel in the treatment of bipolar depression. Commercial bias and accuracy of content make excellent bedfellows, because accurate and academic presentations of material give the articles exactly the aura of legitimacy that the sponsor is purchasing. The Current Psychiatry supplement was entitled “Diagnosing and Managing Psychotic and Mood Disorders,” which is an extremely broad topic. There are hundreds of approaches one might use in covering the topic. For example, one could focus specifically on depression with psychotic features, in which you’d emphasize the overall superiority of ECT, while also covering a variety of combinations of antidepressants and antipsychotics. You could focus on treating mood problems as they arise in schizophrenia, most commonly depression and suicidal ideation. Such an article (here is one example) would focus primarily on antidepressants. You could focus on treating psychosis in patients with risk factors for cardiovascular disease, in which case you would talk about Abilify over and over again, as happened in this recent CME supplement sponsored by Bristol-Myers Squibb, and published by the Journal of Clinical Psychiatry. You could focus on the treatment of acute mania, in which case you’d pretty much have to give equal airtime to all the atypicals and the mood stabilizers. But, in 3 of the 4 cases presented, Dr. Goldberg and colleagues chose to focus their attention on the treatment of acute bipolar depression. It just so happens that Seroquel is one of two treatments FDA-approved for bipolar depression. It just so happens that AstraZeneca funded the supplement. Of course, the “it just so happens” part is the core of the problem. There was nothing random about it. The authors knew exactly who was funding the supplement, and they chose to highlight the advantages of Seroquel because of this. If you take great care in choosing the topic, you can always find one that will inevitably highlight the sponsor’s product. This is fine, as long as it is clear to the readers that it is a promotional activity. For example, on the Seroquel.com website, there is plenty of accurate information about the advantages of Seroquel for bipolar disorder, including a case study similar to the cases presented in this supplement. This is an excellent source of information for those interested in learning about patients for whom Seroquel is helpful. 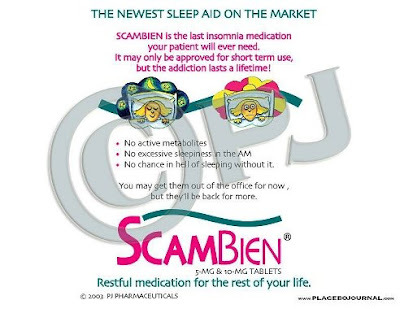 But it’s an advertisement, festooned with Seroquel logos. It is transparent, and it is honest. This is the point in the debate where defenders of commercial CME will argue that this not conflict of interest, but rather “convergence” of interests. AstraZeneca gains by showcasing Seroquel, and the physicians gain by learning about a good treatment. But this is called advertisement and promotion, not CME. If the Current Psychiatry supplement had been preceded by the statement, "The following is a product advertisement funded by AstraZeneca," there would be no controversy about it at all. Getting the ACCME seal of approval is supposed to mean something. It means that the educators have one single agenda in mind: helping physicians sort through the complexities of diagnosis and treatment in order to do the right thing by their patients. The Current Psychiatry supplement, however, was written with two agendas: educating practitioners and selling Seroquel. Note: I just received this e-mail from Dr. Joseph Goldberg, in response to our recent critique of this AstraZeneca funded supplement of the journal Current Psychiatry. With Dr. Goldberg's permission, I am printing his letter below in its entirety. I'll comment on it when I get a chance, most likely early next week. Your distillation of our comments in the case presentations of our recent Current Psychiatry supplement implies that the authors' goal was to motivate clinicians to diagnose more bipolar disorder and then use a medication manufactured by the sponsor of the CME. For the sake of fair balance to your readers, you might mention our findings published elsewhere that community practitioners fail to utilize DSM-IV criteria when diagnosing bipolar disorder, and consequently over-diagnose it in as many as 2 of 3 patients with mood instability and substance abuse (Goldberg et al., J Clin Psychiatry 69: 1751-1757, 2008); in such over-diagnosed patients, mood stabilizers appear far over-used to the exclusion of rigorous substance abuse treatment. But in patients WITH DSM-IV bipolar disorder, suicide risk is significantly higher, and use of unstudied drugs or medications with negative data may lead to disastrous outcomes. Part of our goal in these case discussions was to review the differential diagnosis of bipolar disorder. Psychiatric medications work better when the diagnosis is correct, but often fail when it is not. Your comments fail to discuss the importance of correct diagnosis, differential diagnosis, and evidence-based (i.e., well-studied) therapeutics, as expressed in our supplement. When a diagnosis of bipolar disorder IS correct, unfortunately, few medications have robust effects. In the case of bipolar depression, for example, the controlled trial literature has far more negative than positive studies (e.g., antidepressants + mood stabilizers are no better than mood stabilizers alone [Sachs et al., NEJM 2007; 356: 1711-1722); aripiprazole is no better than placebo (Thase et al., J Clin Psychopharm 2008; 28: 13-20); lamotrigine has 4 negative placebo-controlled studies (Calabrese et al., Bipolar Disord 2008; 10: 3; 10: 323-333)). For better or worse, quetiapine and Symbiax are the only psychotropics that have demonstrated efficacy for acute bipolar depression. The academic community would greatly welcome CME-sponsorship by more organizations, but most studied agents are now either off-patent (e.g., lithium, divalproex, lamotrigine), lack FDA indications due to negative findings (e.g., divalproex for maintenance; oxcarbazepine for acute mania (Wagner et al., Am J Psychiatry 163: 1179-1186, 2006); topiramate for acute mania (Kushner et al., Bipolar Disord 8: 15-27, 2006); or lack any data (e.g., ziprasidone or risperidone for bipolar maintenance). 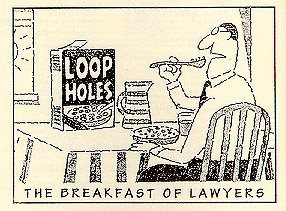 Our case discussion reflects this literature, but yours does not. Readers deserve a more fair-balanced critique of our summary than the one you provide. Nemeroff’s Effexor Love-Fest: It’s CME-Like! According to the Wall Street Journal Health Blog, in 2000 Dr. Charles Nemeroff organized a Wyeth-funded supplement of a journal which he also edits, Depression and Anxiety, paying himself and 13 other academics $3000 each. This money was disbursed from an “unrestricted educational grant” given to Emory by Wyeth. The fact that the supplement was paid for by Wyeth was, unfortunately, not disclosed to the readers. Also from the Wall Street Journal, we learn here that Emory’s defense of Nemeroff’s undisclosed hundreds of thousands from GSK is that some of the payments were not for promotional talks, but for “CME-like” talks. Nobody seems to have an inkling what "CME-like" means. But after reading through Nemeroff's Effexor Love-fest supplement, I'm getting an idea. facilitate successful treatment of patients. Current Psychiatry: Guess the CME Sponsor! Yes, it’s time for your favorite game show, Guess the CME Sponsor. Today, we have a special treat for you, a supplement from Current Psychiatry, entitled “Diagnosing and Managing Psychotic and Mood Disorders.” It is accessible online here. The rules of this game are simple: No peeking to see which drug company has paid for the preparation of the supplement (so skip page 2). This supplement is composed of four case studies. As we know from past experience, medical education communication companies (MECCs) increasingly use case studies to communicate a marketing message in CME. Medscape did this so blatantly once that BusinessWeek published an article about it. Phase 1: The case begins with a patient doing poorly on medications. This “bad” medication regimen is strategically chosen by the MECC to cast competitors in a poor light. Phase 2: The “faculty” members (most or all of whom are consultants or speakers for the sponsoring drug company) then discuss the case, ostensibly in order to come up with ideas for how to improve the patient’s treatment. Here, the MECC can choose to highlight themes to accentuate advantages of the sponsor’s drug and shortcomings of competitors. Phase 3: Finally, there is a dramatic denouement, in which the faculty decides on a better medication regimen. Obviously, MECCs will ensure that the rescue regimen incorporates the sponsor’s drug. If they are good at gaming this system, they will try not to make this blatantly obvious. As we’ll see below, Dowden Health Media has a lot to learn about subtlety. 1. Initial unsuccessful medication regimen: Risperdal Consta, haloperidol decanoate, valproic acid. --Is the patient’s diagnosis of schizophrenia accurate? The faculty decides that the patient may actually have either schizoaffective disorder or bipolar disorder. --They discuss the bad side effects of first generation antipsychotics, such as EPS. 3. Rescue medications: Start clozapine, stop haloperidol, and increase Risperdal Consta. Comment: Janssen’s Risperdal Consta jumps out at us, because the rescue regimen involves increasing the dose as well as starting clozapine. However, it would be hard to imagine Janssen being happy about a case in which a patient starts by doing poorly on their medication. The faculty dwells on disadvantages of older antipsychotics, seemingly in order to lay the groundwork for the promotion of one of the atypicals, but at this point, we don’t know which one they will favor. Clozapine is available as a generic, so is not sponsorable. At this point, the only thing we can be fairly certain of is that Janssen is not the sponsor of the supplement. 1. Initial unsuccessful regimen: Risperdal and valproic acid; Risperdal was stopped because it wasn’t working, the patient was switched to Zyprexa, which helped a bit but caused 18 pounds of weight gain in one month. 3. Rescue regimen: Lamictal, topiramate, and an un-named medication that Dr. Goldberg coyly describes in these terms: “another atypical antipsychotic with a somewhat lower risk of metabolic side effects, relative to olanzapine, as well as an indication for treating bipolar depression to help lower the risk of suicide in this high-risk patient.” Which medication might Dr. Goldberg be referring to? Well, there are only two FDA-approved medications for bipolar depression: Symbyax (Zyprexa combined with Prozac), and Seroquel. Since he specifies that the best choice would not be Zyprexa, he must be referring to Seroquel. Comment: The sponsor sure ain’t Eli Lilly. Any MECC that would take CME money from Lilly and then feature a case in which Zyprexa caused an astonishing 18 pounds of weight gain in one month would never see another dime from Lilly again. While lamotrigine and topiramate were part of the rescue regimen, they are both generic, so unsponsorable. The rescue antipsychotic was Seroquel, so after two cases, my best guess is that the sponsor is AstraZeneca, maker of Seroquel. 3. Rescue regimen: Seroquel, lamotrigine, and sertraline. Comment: Looks like the MECC is pushing Seroquel for anxiety in anticipation of a possible indication for generalized anxiety disorder. Both lamotrigine and sertraline are generic and unsponsorable. 1. Initial unsuccessful regimen: Sertraline, then Effexor XR. --Yet another patient with bipolar disorder misdiagnosed with depression—I guess there’s an epidemic of this. Funny how the faculty neglects to cover the evidence indicating that bipolar disorder may now be over-diagnosed. 3. Rescue regimen: Seroquel and lamotrigine. Comment: C’mon guys, Seroquel again? Would it kill you to be subtle? Let’s go through the possible sponsors. 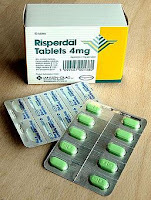 Janssen: No, because Invega was not mentioned, and in one case, Risperdal Consta was ineffective at the starting dose. Eli Lilly: No, because Zyprexa was never used as a rescue medication, and one of the cases featured the worst example of Zyprexa-induced weight gain that I have heard of. Pfizer: No, because Geodon is never a used as a rescue medication. Bristol-Myers Squibb: No, because Abilify is hardly mentioned at all. My guess is that the sponsor is AstraZeneca, because in three out of the four cases, Seroquel is the linchpin of the rescue regimen. Now for the fun part. Go back to the supplement, turn to page 2, and you’ll find that the sponsor is………AstraZeneca, maker of Seroquel. Winners receive a lifetime supply of Seroquel. We are not responsible for fatalities, injuries, or loss of employment due to the sedation and weight gain caused by Seroquel. Employees of AstraZeneca and Dowden Health Media are not eligible for participation in this contest. Massachusetts Disclosure Loophole: "Let's Keep Research Payments Secret"
In August of this year, Governor Deval Patrick signed into law a historic bill limiting drug company payments to doctors and requiring disclosure of any other payments. The pharmaceutical industry battled the law tooth and nail before their defeat. At one point, GlaxoSmithKline actually blackmailed the state, saying it would stop doing business in Massachusetts if the law were passed. Now that it is law, the companies are back at their shenanigans, trying to water down the official regulations that the Department of Public Health will use to enforce the bill. And they've been quite successful. As covered in today's Boston Herald, the proposed regulations do not require that companies disclose research payments to doctors. According to John Auerbach, the public health commissioner, the regulations were written this way for fear that forcing disclosure of such payments would keep clinical trials out of the state. Wait a minute--this sounds exactly like the bogus industry arguments that failed to prevent the bill from passing in the first place! The fact is that doctors are paid millions to conduct research studies, and we have a right to know this information. If there is truly nothing wrong with doing research with industry (and I agree with this), why should the money remain hidden? The companies argue that publishing this information gives their competitors information about their research plans. The problem with this argument is that information about clinical trials is already publically available on an online registry of clinical trials. Beginning in 2005, the International Committee of Medical Journal Editors announced that they would only consider for publication research that was posted on this registry, in order to prevent the problem of publication bias. There are currently 65,825 trials registered. So if you are Pfizer, and you want to know what kind of research Eli Lilly is conducting, the answer is only a few clicks away. It's time for the Department of Public Health to stop meeting with drug company lobbyists and to start writing regulations that reflect the will of the people. It’s Not About Goodwin. It’s About Disclosure. The Frederick Goodwin/Infinite Mind case has become one of the defining controversies for a crucially important health policy issue. Some of us have become hot-headed in our comments, largely because this is something we feel so passionately about. So, in this post, I’ll be keeping my cool, and will pluck some of the significant issues from the morass of accusations into which this debate has degenerated. 1. This is a debate about disclosure of potential conflicts of interest, and not a debate about Dr. Goodwin’s scientific views or his academic integrity. Let’s not get sidetracked into a discussion of whether antidepressants do or do not cause suicidality. On "Prozac Nation Revisited," it was clear that Dr. Goodwin and his guests believed that this danger has been exaggerated. I happen to agree. But that’s not the issue here. Nor is this about Dr. Goodwin’s scientific work over the years, which has been excellent. His writings have always struck me as scientifically fair and balanced, including his industry-sponsored CME articles, which is a tall order, given how difficult it is to keep MECCs from sweetening CME with pro-sponsor messages. No, this debate is specifically about how, when, and where academics should disclose potential conflicts of interest with the pharmaceutical industry. And I believe that "The Infinite Mind" should have disclosed to the listeners, at the beginning of each program, all potential conflicts of interests relevant to the topic of that program. 2. I do not believe that the mere disclosure of conflicts of interest is an admission of “guilt” or “bias,” but audience-members need to be informed so they can judge for themselves. If an academic takes money from the drug industry and then educates physicians or the public about drugs, this is, inherently, a potential conflict of interest. Here is the conflict: on one hand, the speaker has an interest in providing accurate, useful, and unbiased information to the audience. But on the other hand, the speaker has an interest in maintaining the flow of money from the company, and companies are paying out the money to improve sales. Speakers with such conflicts may do one of three things. First, they may knowingly bias the talk in favor of the sponsor’s drug. Second, they may unconsciously bias the presentation. Or third, they may not bias the talk in any way at all. The audience has no way of knowing what goes on in the mind of the speaker, so they have no way of knowing whether they can trust what he or she has to say. In my opinion, the best way to resolve this problem is for doctors to stop accepting money from drug companies for promotional activities. However, at a minimum, listeners needs to know what the potential conflicts are, so they can be on the alert for potential bias. 3. Many have pointed out that “we all have biases,” so why focus on those related to drug company payments? --A relative did well on drug X. --A relative did poorly on drug Y. --I don’t like company Y’s marketing practices. --I publish a newsletter, and my readers enjoy hearing me criticize drug Y. --I’ve made $1 million doing promotional talks for drug X, and I’d like to make another million (I haven’t!). --I’ve done 10 years of research on drug X’s mechanism of action, and if I get one more paper into New England Journal of Medicine I’ll be promoted to full professor. And so on. There are innumerable sources of potential bias, and we should disclose those that are most clearly identifiable. In my opinion, financial conflicts are the easiest to identify, and also the easiest to resolve. I can choose not to take the money, but I cannot choose to change the fact that a relative did poorly on drug Y, or that I have staked my career on drug X, etc…. This is why we focus on financial conflicts of interest. 4. Finally, this is not about whether Senator Grassley, Senator Kohl, or the New York Times are trying to destroy psychiatry as a profession. Most of the targets of Grassley’s investigation have been psychiatrists. Some have been cardiologists, and some have been orthopedists. Psychiatrists have been particularly targeted because, at least in two of the states where drug companies are compelled to disclose payments to physicians, psychiatrists have topped the list. As a profession, I believe psychiatrists are the most vulnerable to the blandishments of the pharmaceutical industry, for various reasons. First, we psychiatrists make less money than most other medical specialties, and want to supplement our income with drug company money. Second, psychiatrists, by abandoning psychotherapy to those “lower” on the pecking order, such as social workers and psychologists, have painted ourselves into a corner in which all we do is prescribe drugs. Thus, we are exquisitely dependent on information on pharmaceuticals, information which is usually funded by drug companies. Finally, we have a chip on our shoulders in relation to the rest of medicine. Are we “real” doctors? Are we as “good” or as “scientific” as our colleagues in other specialties? Psychiatrists obsess about such questions. Working closely with the pharmaceutical industry makes us feel valued, scientific, and powerful. Let’s keep the focus where it belongs. Thank you for taking the time to respond to my blog postings regarding this unfortunate disclosure controversy. I’ll start by apologizing for the single false statement I made: “the segment itself was partially funded by Pfizer, maker of Zoloft.” I got that wrong. Pfizer did not fund that particular segment, but it has, indeed, been one of the underwriters of The Infinite Mind. According to the producer's website, many other drug companies have funded the program, including Eli Lilly, Abbott Laboratories, Scios, Searle, Janssen, and Solvay. According to an email from Bill Lichtenstein, the last drug company grant the show received was in 2005. However, I stand by all my other statements. Regardless of who actually invited the guests, chose the topic, or suggested questions, you were ultimately responsible for what was said. You were there behind the microphone, asking questions, making comments, and steering the discussion. While you appear to blame Mr. Lichtenstein for the show’s failings, saying that he put it together “in a hurry,” in fact Mr. Lichtenstein tells me that he did not produce this segment at all, and had hired a freelance producer to coordinate it. You also blame Mr. Lichtenstein for the fact that Peter Pitt’s PR work for drug companies was not disclosed. However, you are on the board of directors of Center for Medicine in the Public Interest (CMPI), a pro-industry front group which receives a majority of its income from drug companies. 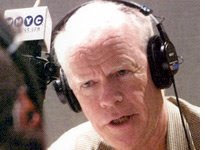 Peter Pitts happens to be the president and co-founder of this same organization. How could you have not known of his financial relationships with the pharmaceutical industry? And assuming you did know, how could you have not made certain that this was disclosed to listeners? You state that I am “damaging the reputation of distinguished academic scholars such as a professor at UCLA.” I assume you are referring to Andrew Leuchter, a professor of psychiatry at UCLA who was one of the guests on the Prozac Nation: Revisited show. In fact, I said nothing to damage his reputation. Dr. Leuchter is a brilliant researcher who I once interviewed for an article on the uses of EEG in psychiatric practice. He takes money from pharmaceutical companies for research on antidepressants, which he discloses on his website. There’s nothing wrong with that. But this information should have been disclosed to listeners—not to discredit him, but to alert listeners that these financial relationships might (or might not) have influenced his opinions about the dangers of antidepressants. To conclude, I’m hoping that you and your supporters, such as John McManamy , will stop blaming everybody else for this mess. Don’t blame the New York Times—they were merely reporting the facts. Don’t blame scientologists—they haven’t even participated in this discussion. Don’t blame Bill Lichtenstein, Gardiner Harris, Charles Grassley, Slate Magazine, Shannon Brownlee, Jeanne Lenzer, or even Daniel Carlat. This entire fiasco could have been averted if you had chosen to inform NPR listeners of your financial conflicts of interests at the beginning of shows focusing on pharmaceuticals. Frederick Goodwin, who has been under fire from various quarters for apparently failing to disclose pharmaceutical company income to the producer of The Infinite Mind, has responded to my postings about this issue in the comments section of this blog entry. I thought it was an important enough response to feature it as its own post. I print it below in its entirety, and I will respond to his concerns in a separate entry. I was very saddened and disappointed to read Dr. Carlat’s post. While he and I may disagree on certain issues, I had always assumed that he adhered to minimum scholarly standards in his writings, standards that are expected of professionals with academic backgrounds. While I was taken aback by the polemical over-the-top language from a colleague with whom I worked in a recent American Psychiatric Association symposium, e.g. “outrageous betrayal of the listeners trust,” I was most profoundly dismayed by statements that were simply not true. (And can easily be shown to be false.) For example, he said that “Goodwin brought together experts with clear financial interest in arguing for the drugs’ [SSRI’s] safety.” First, he ignored what I said in the statement that I had sent him before he posted this blog, namely, that the producer of the Infinite Mind, not the host, reserved for himself full responsibility for the selection of topics, selection of guests, preparation of the script, and even the questions to be asked. If Dr. Carlat did not believe me, but still wanted to protect his own credibility, he easily could have checked this out with Mr. Lichtenstein, the show's producer, or I would have been happy to send him a copy of the contract which specifies the producer’s total control of content. The fact that he went ahead with his own version of reality, in the face of assertions to the contrary in his possession, (assertions which he apparently did not check out) is reminiscent of what the Times’ Gardiner Harris did in simply ignoring any reality that didn't fit his narrative. But he gets even more reckless. He asserts as fact that “ the segment itself was partially funded by Pfizer, the maker of Zoloft.” Where did he get this information? From a Scientology website? Unless Dr. Carlat can document this, he owes me, the Infinite Mind producer, the guests, and, especially his readers, an apology. Dr. Carlat’s blog is, to use his own words, a “particularly outrageous betrayal of the [readers] trust,” readers who have a right to assume that his statements reflect the standards associated with professionals in academia. Frederick K. Goodwin M. D.
Today, I'd like to introduce a guest posting by Harry Tracy, the writer and publisher of NeuroInvestment, a monthly online journal providing cutting edge of analysis of developments in the neurotherapeutics industry. Dr. Tracy often publishes essays evaluating the marketing tactics of the pharmaceutical industry, and in his current issue, he tackles the particularly unsavory price gouging strategy used by Cephalon in order to lay the groundwork for its newest me-too product, Nuvigil. I've published his essay below, by his generous permission. It's not news that pharma companies try to 'switch' patients to a revamped version of a drug prior to the introduction of a generic competitor in order to pre-empt that advent. And it's not news that one of the levers available is to raise the price of the original drug, in order to shift patients to the revised edition. The assumption that they make is that prescribers are too busy to notice that the revamped drug may offer little value over the original version, and thus will keep patients on the new one even when the generic arrives, at lower cost. When a new version is genuinely better, as was the case for Adderall XR, the merit of the molecule drives the market, as it should. But as Adderall XR's patient life dwindled, Shire tried to repeat the trick with Vyvanse, whose superiority to Adderall XR is confined to slightly reduced abuse risk. They stated quite openly that, if necessary, they would raise Adderall XR's price to drive users to Vyvanse before the generic Adderall XR hit the market. We do not track Adderall XR's pricing, so we don't know to what degree Shire implemented that tactic. But Shire possessed the subtlety of MI5 compared to Cephalon, whose SWAT-team pricing tactics for Provigil hit the Wall St. Journal on November 18. Cephalon has raised the per-tablet price for Provigil, now in billion-dollar per year revenue range, by 74% over the past four years (that's one way to get there), 24% in just the past year. And they are open about the fact that they are boosting Provigil's price in order to shift people to Nuvigil, which will not be available until 2009, (if then) and displays no significant advantages over its racemic forebear. To summarize: In anticipation of generic competition in 2012, they are raising prices four years ahead. 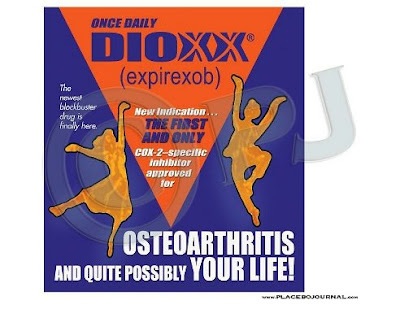 Since there really aren't any desirable alternatives to Provigil, they are gouging a captive audience. Cephalon already has its picture up on the Post Office Wall as a perpetrator of the first order when it comes to regulatory reckless driving. Earlier this year, they paid a $444 million fine for violating rules on off-label marketing, which they brushed off as if it were just a traffic ticket. It's not as if it has not been obvious for years that Cephalon likes to skate on the thinnest edge of the law; when we pointed out just such an instance of skirting the rules in 2007, their response was to have their Legal Department send NI [Neuroinvestment, Dr. Tracy's journal] a letter of reprimand. If it was a threat, it was a hollow failure, since what they had done was in front of an audience of about two thousand. NI has previously written of our disappointment with Cephalon's squandering of its potential: Greater contributions to medical care and ethical responsibility have been exchanged for hard-nosed marketing and incremental improvements. But this has implications beyond that, because of the times in which we live. Greed is no longer seen as being as good as it once seemed. The mercenary excesses of the banking industry have led to chaos in global macroeconomics, and scapegoats are welcome. Now, a new Administration is about to come to power in the US, with healthcare reform high on its agenda. Cephalon's strategy seems to be one of trying to stuff as much loot into their sack as they can before the vault door swings closed, much as some banking executives voted themselves bonuses as their corporate vessels began to founder. This is a policy of plunder which only provides ammunition to anyone who considers price controls to be a valid option for reining in healthcare expenses. Not that Cephalon is alone--the media is awash with reports of health risks concealed, benefits exaggerated. But this is another nail in the coffin of Pharma's public image. There have been a few developments regarding The Infinite Mind scandal since yesterday. Pharmalot posted a statement from Dr. Goodwin rebutting the New York Times piece. This statement had originally been published on an APA listserv, and was apparently leaked to Pharmalot--though not by me. I wrote directly to Dr. Goodwin to ask him if this statement was actually his, and whether I could post it, and he wrote back saying that he would send me a shorter version of the statement, which I'll post when I receive it. Meanwhile, NPR's show On the Media aired this interesting 8 minute segment on the issue, which is worth a listen, because it brings these issues into perspective. Specifically, the host David Folkenflik points out that NPR is by definition a source of unbiased news, being the only major radio network which does not accept advertising. Thus, for it to air a show hosted by a psychiatrist who did not disclose $1.3 million in industry payments was a particularly outrageous betrayal of the listeners' trust. Finally, you must check out this elegant essay by Jonathan Leo, which deconstructs, quote by quote, the notorious "Prozac Nation Revisited" show, during which Goodwin interviewed guests who shared his belief that the antidepressant-suicide connection is overblown. As it turns out, I mostly agree with Goodwin on this issue, but that's irrelevant. Whether antidepressants cause suicidality is a controversial point, with very complicated data on both sides of the argument. Goodwin brought together experts with clear financial interests in arguing for the drugs' safety (Nada Stotland is an exception, since she was there representing the APA and has no current pharma ties). Furthermore, the segment itself was partially funded by Pfizer, maker of Zoloft. The point is that the public was offered only one side of the debate, without having been informed of the fact. That's bad journalism. Goodwin has been arguing that his pharma ties were available to anybody who chose to Google him, but this doesn't meet basic journalistic standards. Listeners should be able to trust NPR, and should not feel the need to rush to the internet to check up on every expert featured. That's why we suffer through those pledge drives! Thanksgiving week was a busy one for revelations of greed among two of our top academics in psychiatry: Dr. Joseph Biederman and Dr. Frederick Goodwin. Apparently, in 2002 Dr. Biederman solicited hundreds of thousands of dollars for a "Johnson & Johnson Center for the study of pediatric psychopathology." One of the publically stated goals of the center was to “move forward the commercial goals of J.& J.” I'm shocked, just shocked. Actually, this is not really as horrendous as it seems. Researchers like Biederman are always on the hunt for research funding. They prefer NIH funding, but that is increasingly scarce, so they hold out their hats to industry. When you take research money from industry you are always making a deal with the devil. Your intentions are to produce serious research, but you know that your funders are not in the business of charity. They want to "move forward the commercial goals" of their companies, and you know that going in. Ideally, this represents a "confluence of interests," using buzz-phrase popular among advocates of academic-industry collaboration. In theory, there's nothing inherently wrong with such collaborations, as long as the nature of the relationship is disclosed, and as long as the principal investigator takes great care to play by all the rules, both legal and ethical. Unfortunately, the New York Times article and a follow-up posting in Pharmalot imply that Biederman did not play by the rules. For example, Harvard and MGH rules stipulated that researchers doing company-funded trials are not allowed to get paid more than $10,000 in consulting or speaking income from the funding company. Biederman made much more than this and did not disclose it. Dr. Biederman comes across as petty and retaliatory. Is he also a brilliant, productive researcher who cares about children? Of course. But there is no excuse for this level of arrogance and greed. Next up: Frederick Goodwin. Another brilliant, smart researcher who cares deeply about people with mental illness. He is former chief of NIMH, and co-writer of the major textbook on bipolar disorder. He is also a passionate defender of the free enterprise system and an enemy of those who criticize the pharmaceutical industry. For example, he is on the board of directors of the rabidly pro-pharma organization, Center for Medicine in the Public Interest (CMPI), and has teamed up with its Vice President Robert Goldberg (not one to be tangled with--see this earlier slimefest on my blog) on articles such as this diatribe against Marcia Angell and Arnold Relman which is posted on the website of the conservative Manhattan Institute. Okay, but so what? He's a conservative, I'm a liberal, this tent is big enough for both of us. My main beef with Goodwin stems from his participation in a May 2007 symposium at the annual meeting of the American Psychiatric Association. The symposium was organized by my friend and colleague Nassir Ghaemi, and was entitled "Uneasy Partners: The Pharmaceutical Industry and the Psychiatric Profession." There were five speakers. Dr. Ghaemi reviewed the landscape of the controversies, I did a talk showing that 46/46 industry-sponsored symposia at the the 2006 meeting promoted a drug made by the sponsoring companies, David Healey discussed disease mongering, and both Howard Kushner and David Osser talked about the need for evidence-based medicine. Finally, Dr. Goodwin came to the podium as the "discussant," presumably to comment on our presentations. But instead of discussing our talks, Goodwin decided to use Marcia Angell's book, The Truth about Drug Companies, as target practice. Angell was not on the program, and her book was only mentioned in passing by one of the presenters. But Goodwin seemed to despise her and her book. He went through her main points, rebutting them systematically, arguing that pharmaceutical companies are wonderful, that medications are very helpful, that there is nothing wrong with making money, and that drug companies are not as profitable as everybody thinks. Then, he went on a bizarre tangent about how one of the major networks is filled with scientologists. I must say, I was amazed, dumbfounded, and profoundly embarrased for my profession. I had never met Goodwin before, but, like other psychiatrists, I revered him as a legend in the field. That all came crashing down as I watched him make a series of strident statements that were largely irrelevant to any of the points made during the symposium. He entertained the audience by being charismatic and at one point got a very cheap laugh by ridiculing the non-industry sponsored symposia at the meeting. So when I heard about Goodwin's lack of disclosure regarding The Infinite Mind, I was not surprised--only saddened. He, and Biederman, and Nemeroff, and many other less well known hired guns are bringing the profession of psychiatry to its knees.